Visiting health services for country communities. We are proud to support over 1,000 outreach health services across rural and remote Western Australia to improve access to healthcare for rural communities. Many communities in regional, rural and remote Australia do not have easy access to medical specialists or allied health professionals who can diagnose and treat a variety of illnesses. Providing access to specialised medical services reduces the patient’s need to travel long distances to attend a consultation or receive treatment, meaning they can stay close to their home and family. To identify services that are visiting your region, view the Outreach Health Services Map or contact the Outreach team. Rural Health West administers outreach services on behalf of the Australian Government Department of Health. 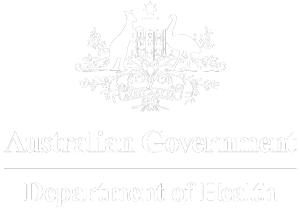 We are the jurisdictional Fundholder in Western Australia of five Australian Government Department of Health Outreach programs. EESS aims to increase access to surgical interventions for Aboriginal and Torres Strait Islander patients with diagnosed eye and ear conditions, who have been placed on a waiting list for surgery. HEBHBL aims to improve the diagnosis, treatment and management of complex ear conditions that arise in Aboriginal and Torres Strait Islander children and youth (aged 0 – 21 years) by increasing access to multidisciplinary ear health teams. MOICDP aims to support the provision of primary health care multidisciplinary teams to prevent, detect and manage chronic diseases in Aboriginal and Torres Strait Island people in urban, rural, regional and remote communities. Chronic disease is defined as ‘a condition that has been (or is likely to be) present for six months or more’. RHOF supports outreach activities which address health issues identified in regional, rural and remote locations. This fund places a specific emphasis on the following health priorities; maternity and paediatric health, eye health, mental health and support for chronic disease management. VOS aims to improve the eye health of people in regional, rural and remote locations by improving coordination and integration of new and existing eye health services and increasing access to optometry services. With a few clicks of the mouse you can find out when Rural Health West-funded outreach specialists and allied health teams will be visiting your town. Go to our Outreach Health Services Map to see the locations, visit dates and instructions on how to access outreach services and how to refer patients into a service. What does the program funding cover? Support may also be extended to provide backfill for public health professionals and under exceptional circumstances a workforce support payment for private health professionals providing outreach to remote and very remote communities. All service providers must demonstrate that they have undertaken appropriate cultural awareness and safety training or be willing to undertake training prior to commencing service delivery. A number of suitable training programs and resources can be found on the Cultural and Awareness Training page. The Rural Health West Outreach team employs a number of strategies to support service providers to recruit health professionals to assist with outreach services. If you need help finding a health professional to provide your service, please download a Request for Recruitment Assistance form and email to the Outreach team.